The 3D political map represents one of many map types and styles available. Look at Istra from different perspectives. 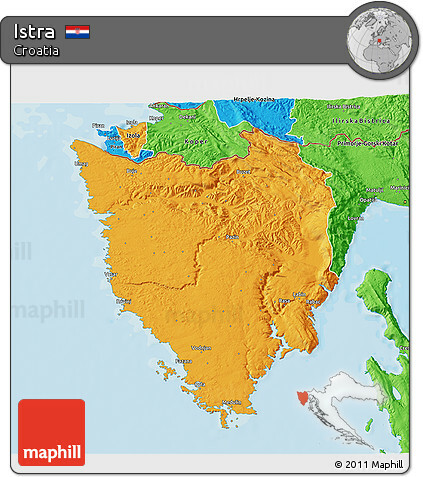 Follow these simple steps to embed smaller version of Political 3D Map of Istra into your website or blog. Classic beige color scheme of vintage antique maps enhanced by hill-shading. Istra highlighted by white color. Dark gray color scheme enhanced by hill-shading. Istra highlighted in white. Savanna green color scheme enhanced with shaded relief. Istra is highlighted by yellow color. Light grey color scheme enhanced with shaded relief. Istra highlighted in white. Political style for all areas outside of the borders of Istra..
All areas outside of the borders of Istra cropped from the image. Physical style for all areas outside of the borders of Istra. Satellite style for all areas outside of the borders of Istra. Shaded relief style for all areas outside of the borders of Istra. All areas outside of the borders of Istra filled with a single color. All areas outside of the borders of Istra darkened. All areas outside of the borders of Istra desaturated to grayscale colors. All areas outside of the borders of Istra lightened. All areas outside of the borders of Istra partly desaturated to almost grayscale colors. This page shows the free version of the original Istra map. You can download and use the above map both for commercial and personal projects as long as the image remains unaltered. Istra belongs to the first-level administrative divisions of (Croatia). Not just this political 3D map, but all maps at Maphill are available in a common JPEG image format. You can print, copy or save the map to your own computer very easily. Just like any other image. We are currently not able to offer PDF maps or the original Political 3D Map of Istra map file editable in Adobe Illustrator or other vector graphics editors. How to embed the Istra map into your website? Enrich your website with quality Istra map graphics. Make the web a more beautiful place. Right now. Do you think the maps are too beautiful not to be painted? No, this is not art. All 3D maps of Istra are created based on real Earth data. This is how the world looks like. The value of Maphill lies in the possibility to look at the same area from several perspectives. 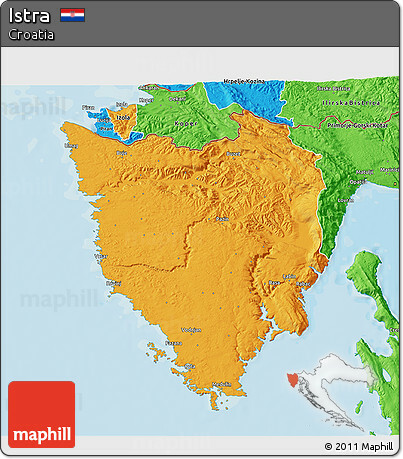 Maphill presents the map of Istra in a wide variety of map types and styles. 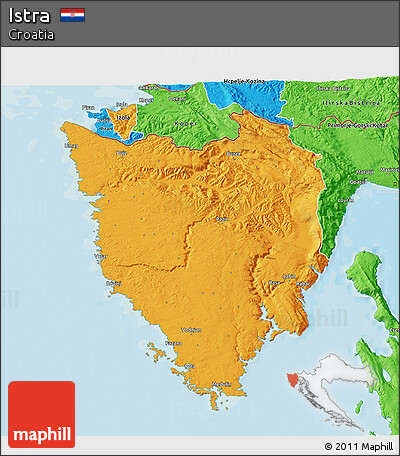 Embed the above political 3D map of Istra into your website. Enrich your blog with quality map graphics. Make the web a more beautiful place.